I am spending the next couple of weeks out in California and during my first full day in Long Beach, my good friend Dee and I took a trip out to Los Angeles to see and incredible art exhibit on graffiti art. 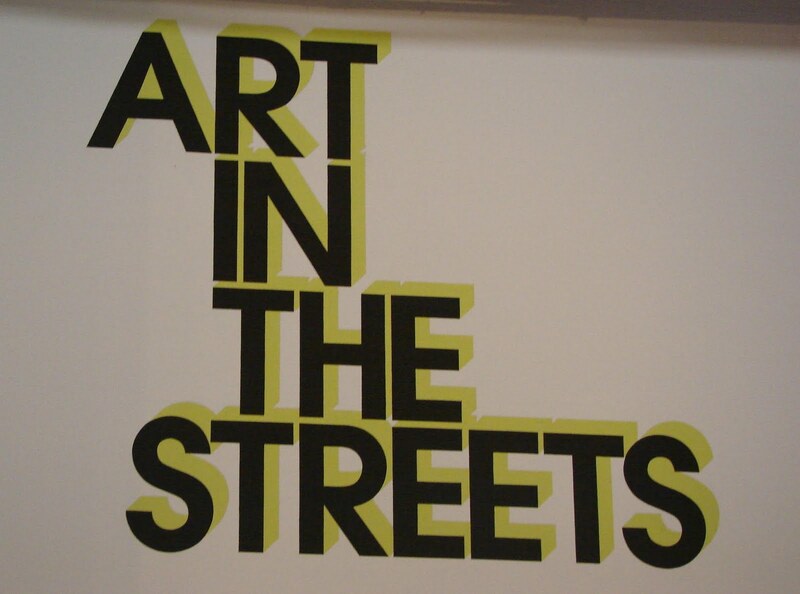 The exhibit was titled Art in the Streets. Art in the Streets is part of the Museum of Contemporary Art, Los Angeles and is the first major historical exhibit of graffiti and street art to be organized by and American museum and it shows the origins and history of the movement in the United States and traces its influence as it spread around the world. 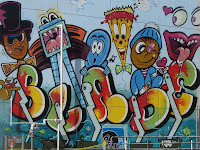 I am a huge fan of graff art and to be able to see so many graffiti pieces in one location was absolutely amazing! One of the great parts about the exhibit is not only the pieces of art displayed but the replicas they had displayed of graffiti art sub-culture in New York City, Los Angeles, London, and several other cities around the work. In some areas, you felt as if you were walking right along the streets of these majors cities during the rise of graff art in the 1970s and 1980s. All I have to say is what and ice cream truck. I would totally get ice cream or candy from here. 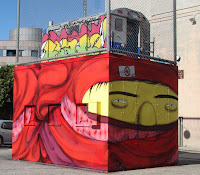 The art work on this represent the current urban Latino sub-culture of East Los Angeles. This photo was too large to take in a full shot put someone sketched it in first and then painted it. It's truly an amazing piece of art!